To make an appointment for an office visit please feel free to schedule online night or day using the button below, or call:503-227-8700 during normal business hours. My practice, Portland Alternative Medicine, LLC, is located in Blackbird Chiropractic Natural Health Clinic. We are a group of chiropractors, acupuncturists, and massage therapists all working together in a warm, collaborative atmosphere. Please see my clinic location page for a map. Alternative Medicine is a healthy, viable option for achieving optimum health. Naturopathic medicine looks at the cause of disease to remove obstacles to healing and assures that the body has the material (food, vitamins and minerals) it needs. By treating the cause of the disease, real healing can begin. Are you looking for an alternative to regular medical care? Are you ready to get to the cause of your health problems? Are you ready to choose to live a healthier life but do not know where to start? 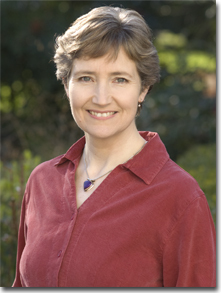 Dr. Wendy Hodsdon is a Naturopathic Doctor located in Portland, Oregon. As a general practitioner, Dr. Hodsdon uses alternative medicine to cover a wide range of holistic health care needs including disease prevention, diagnosis, treatment and education. “My goal is to help you achieve optimum health and wellness. Alternative medicine treatments are safe, natural and non-invasive ways to resolve problems, get to the cause of your health complaints and help restore vitality. Cleanses, homeopathy, herbal medicine, lifestyle counseling, vitamins, and body work are all used to create an individualized, safe treatment plan to enhance the body’s capacity to heal itself. I assist people in making the life transformations necessary to support a healthy, vital life.” – Dr. Wendy Hodsdon, N.D.
What Health Conditions Does Alternative Medicine Treat? What Health Conditions Does Alternative Medicine Treat ?